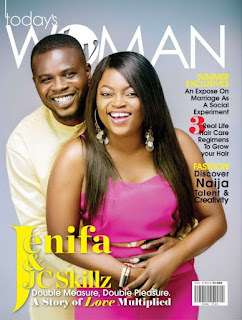 Jenifa as she is popular known by her fans covered the recent issue of the TW Magazine alongside her husband JJC Skillz. The pair who are breaking grounds in the music, film and TV industry grace the covers of Today’s Woman magazine. The Showbiz couple talk about self-discovery, finding love after heartbreak and more. It’s the first time two personalities will cover the magazine this year.